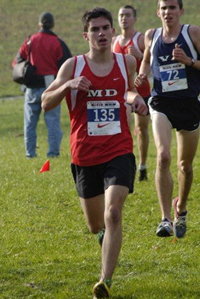 Mike Migdall is one of the top returning cross country runners on the Quince Orchard team that is favored to do very well this fall. Last year he was the fifth man, placing 18th overall on the state championship team. He hopes that he can help his team get even better this year. Part of the plan was to spend several weeks training in Boulder, Colorado to get a taste of altitude and hill training. Here he recaps his time spent running in the thin air of Colorado. Hey, I'm Mike Migdall, and I spent the last three weeks in Boulder, Colorado training for the upcoming cross country season. 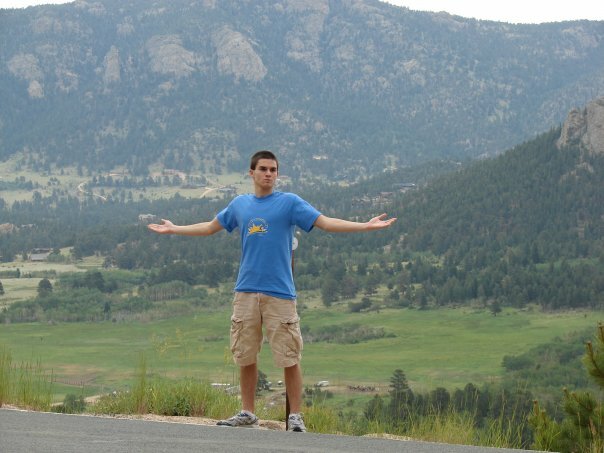 Boulder is 5400 feet above sea level and is widely considered a running "Mecca", providing a home to national running heroes such as Dathan Ritzenhein, the Gouchers (well, before their move to Portland) and Jorge Torres. I left Maryland with high hopes of having some of their greatness rub off on me. The first week consisted of 5-9 mile runs at modest pace, running just about every day on the Boulder Creek Trail or on a road just outside Boulder. I would follow this up with a short session on a stationary bike at the hotel. On almost every run I would start off feeling like a stud as I comfortably roasted elderly women and obese men with ipod shuffles. My positive outlook would change almost immediately as I would follow the trail away from the city and into the Flatiron Mountain Range. The pregnant women and recreational runners would thin out and I would get passed by men bearing deep resemblance to He-Man's arch nemesis, Skeletor (only with a heart monitor). Around the 5th day I was more accustomed to the altitude and was feeling pretty competitive. I was on a back road that went to the neighboring city of Lousiville, when I saw a van ahead going pretty slowly. I worked my way to see what's up and I noticed it was following two Asian women who are flying in front of this car. I surge to catch them for the hell of it and right as I get maybe 8 yards behind them they take off at a sprint. It turns out they were Hiromi Ominami and her twin sister Takami (credited with being the fastest sister marathon duo of all time) and they don't like no name high school runners getting all up in their grill. I couldn't keep up with them or their support van so I turned around drained and defeated. Started off with a goal of 55 miles this week but after the third day I realized I was just too tired to continue the mileage. Since leaving for Boulder I realized all I had eaten for just about every meal had been chicken in either nugget or strip form. I feared I was becoming anemic so I took two days off, eating steaks and vitamins and playing Mario Kart to formulate new race strategies. I finished up the week rejuvenated and back up to 8 or 9 miles a day . I started this week off with a long run in Estes National Park, which is part of the Rockies and 8000 feet above sea level. I was straining to get air after 10 minutes of what is normally an easy pace for me. Another thing I noticed was the wildlife. Foxes, snakes and deer littered the trail and would scurry off as soon as I ran by. I saw a badger running along side me and for no particular reason, spit at it. It was a direct hit, and I stopped to admire the shot from a couple of feet away. It turned out actually to be a skunk and turned around getting ready to return fire. I have never sprinted so fast in my life. Anyways, I had befriended a couple of members of the Boulder High School cross country team during week two, and I graciously accepted the invitation to come train with them. I was shocked to hear that their team has a whopping 140 boys and girls on the roster as well as a total of eight coaches who rotate days to supervise them. I couldn't imagine what it would be like to be on a team that large. One of the coaches later admitted during a run (apparently coaches in Boulder are allowed to run with their kids during summer practices) that despite the large number of kids on the team they weren't very good, with few really dedicated runners. I'm now grateful for being on a small team where the coaches can give me and my teammates more individual attention. Anyways I'm back now and can't wait to see the effects of the altitude training. See y'all later!